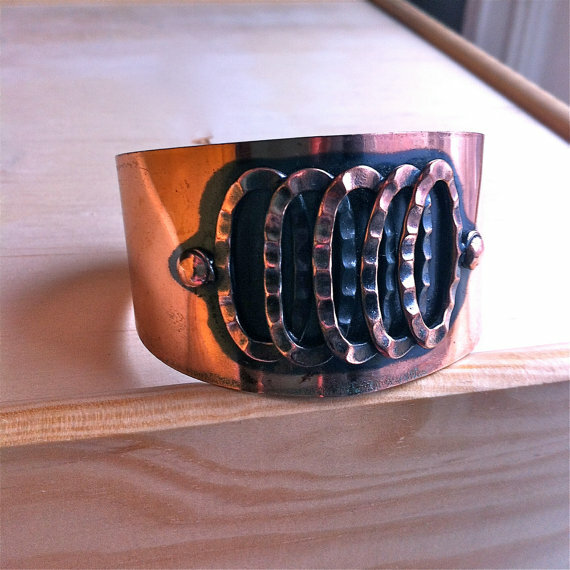 I don’t know if I have any more to say about my obsession with mid-century copper jewellery.Just scroll down to the search button, enter “copper” and you’ll get six pages of results. I just think that it’s gorgeous and I wish everybody else shared my love for it. If you share my passion, you’ll be pleased to know that this unsigned piece is currently for sale in the Gracious, Good Etsy shop.